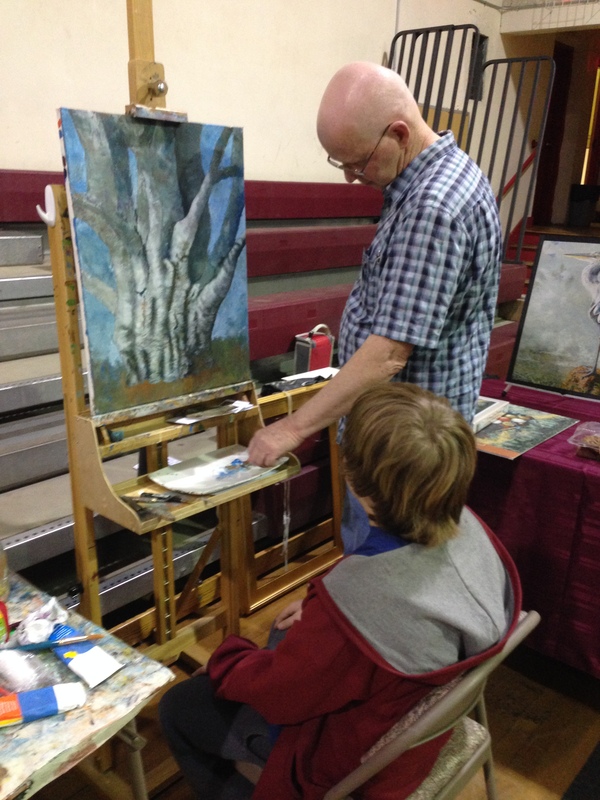 My Grandson watches me paint at the last Greater Salem Artists spring show. This is a painting of a fantastic Beech Tree in our neighborhood. I am also doing a graphite pencil on paper of this subject. 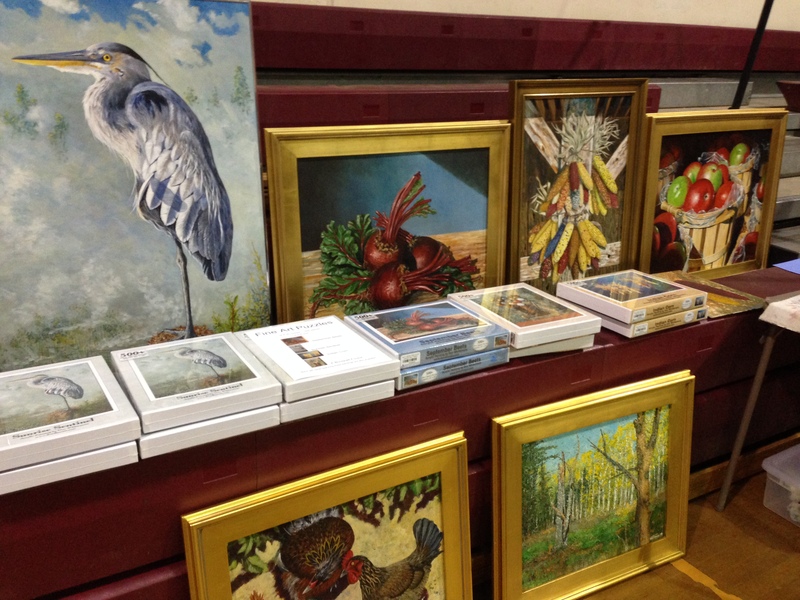 My display of some of my paintings. I had four of my most popular paintings made into 500 piece puzzles. These puzzles are a great hit with the crowd. My matching blank note cards are also good sellers. Check out a link for Piece Time Puzzles for more information on these puzzles. 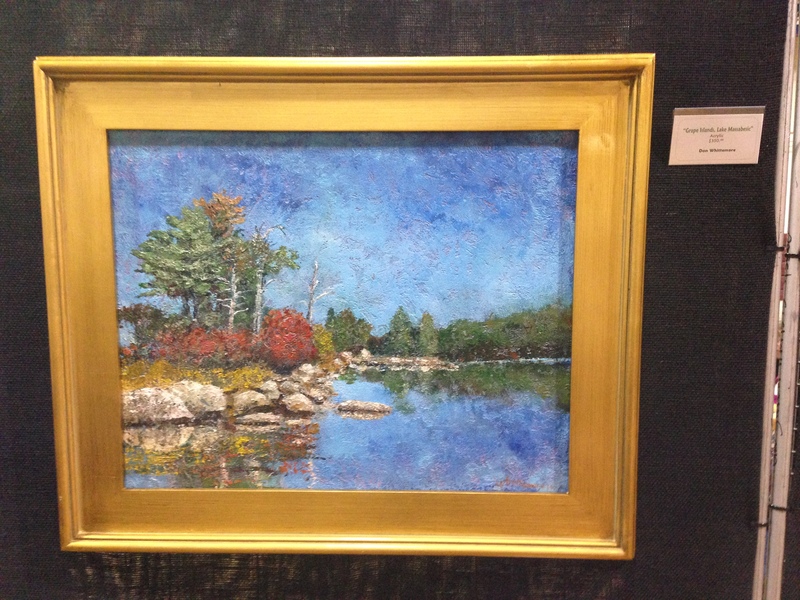 This painting of the Grape Islands, Lake Massabeic, NH was completed with just a pallet knife. 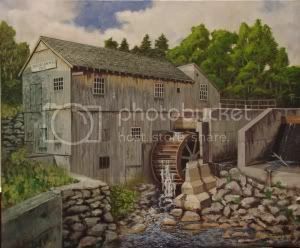 This entry was posted in Events, Paintings and tagged art show, paintings, puzzles, Salem New Hampshire. Bookmark the permalink. You are such a talented painter!!! Also a gifted teacher!! !